Beery Heating and Cooling serves Sandwich, IL, with specialized residential furnace/boiler and air-conditioning installation, repair and replacement. We are crafters of indoor air environments who create heating and cooling systems as personal to you as your home décor. Our customization process begins by profiling your climate preferences in each area of your home. We then further assess details such as shades and window treatments and insulation and ductwork. Using this combined information, we develop an image of what your personalized home system will need to achieve. The next step is to review your options with you, including how you might want to approach heating and cooling efficiency, humidification and indoor-air purification. Heating and cooling technology is always changing, so it’s important to consult with professionals who are current with industry science. Ensuring your daily comfort at home also requires having the right equipment and systems for each of your home’s different zones. 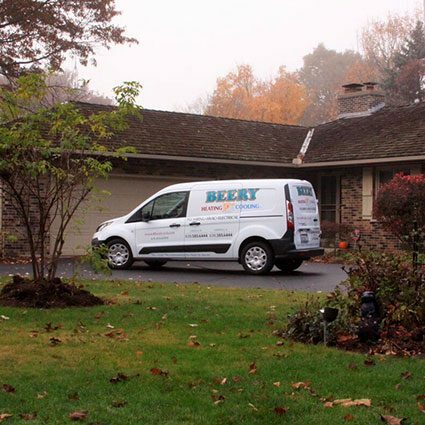 Beery Heating and Cooling has been installing, repairing and maintaining furnace/boiler and air-conditioning units for homes in the Sandwich area since 1980. Whether you need service for new construction or an existing home, our team includes the specialists who can ensure your heating and cooling systems are optimal. You also never know when an issue with your furnace, boiler or air conditioner can arise. In the event your unit isn’t operating for you correctly, we’re available for you with 24-hour emergency service. We also guarantee your satisfaction with our work. We offer a Planned Maintenance Program for our Sandwich customers too. This advantageous program offers you same-day service, no overtime charge for visits after hours and discounts on Beery heating and cooling services. Call (630) 585-6444 today to discuss the furnace/boiler or air-conditioning installation, repair or replacement you need in Sandwich, IL. We’ll look forward to hearing from you! In addition to skilled service for indoor-air systems, Beery Heating and Cooling provides efficient plumbing and electrical work for Sandwich, IL, homes. Whether you need repair, remodeling, replacement or routine maintenance, we can ensure your plumbing or electrical system remains fully operational. Call (630) 585-6444 today to learn more about our plumbing and electrical services for homeowners in Sandwich. Beery Heating and Cooling offers complete solutions for commercial heating, cooling, plumbing and electrical systems as well. Whether it’s repair, maintenance or replacement you need for your business, our experts can swiftly and affordably serve you. Contact us at (630) 585-6444 today to learn more about our commercial services for Sandwich.